Super Panga named after our labrador. Cleo cruises at 30 MPH and has 150 HP outboard engines. She will take 5 divers or 8 snorkellers. 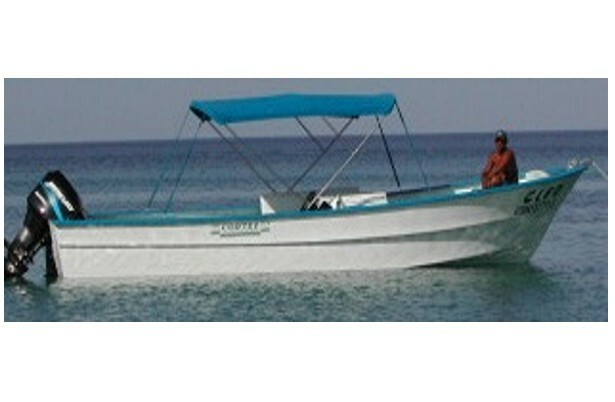 She is fully equipped with VHF radio,oxygen,first aid,fish finder,GPS and stereo.